It can be disheartening when looking back on compromises in the past that gave way to peace when justice for victims is ignored for what was seen at the time as the greater good. The US Civil War itself is seen as a fight between good and evil in most American textbooks today, but the strength of both armies and a hard fought victory still lead to memorials to the Confederate army that still stand today. At the time it was known that pressuring past enemies after the official end of the war may have led to increased conflict. Poking a defeated southern bear was avoided as the cost of continued war impressed humility on the victors. Colombians have lived far too long under the threat of terror from the FARC. The government of their outgoing president spent his last two years producing a compromise that would remove the FARC from the battlefield while integrating them into the mainstream government. Many in Colombia felt this deal ignored the rights of the victims of the FARC, and for having forty years of terror laid upon the country, a passive handshake lacks true justice in its application. The perception may be that the government was too willing to make a deal with old “revolutionaries” that could have been simply eliminated by the military, or that justice could have been applied via a truth and reconciliation commission to produce some healing in those communities most affected by the FARC. After an initial failure and eventual success on the policy, the deal with the FARC may now be in jeopardy as a run-off election in Colombia places an anti-FARC deal candidate against a left of centre ex-revolutionary. It may be difficult for those outside of Colombia to understand how Colombians feel about the FARC deal and on how they should vote in their election. Many Colombians across the country have been affected by narco-terrorism in their own communities, and still face threats from ELN and other organisations linked to the same values and profits that motivated FARC actions for generations. The concept of natural justice also propels people to seek justice for those who have lost their rights, their limbs and their family members. While many western governments are trying to legitimize the peaceful return of their own citizens who fought in Syria and Iraq, there is little consideration to those in the region that suffered under the actions of their citizens in those countries. Justice is not applied in many western countries for those who most likely committed human rights atrocities against foreign communities. Someone who is living peacefully after committing the most brutal of crimes, healthy and well in a peaceful city reflects poorly on those countries who ignore someone that tortured and killed foreign nations. A peaceful ignorance in one place would be a major trial in Syria or Iraq, likely leading to a death sentence. 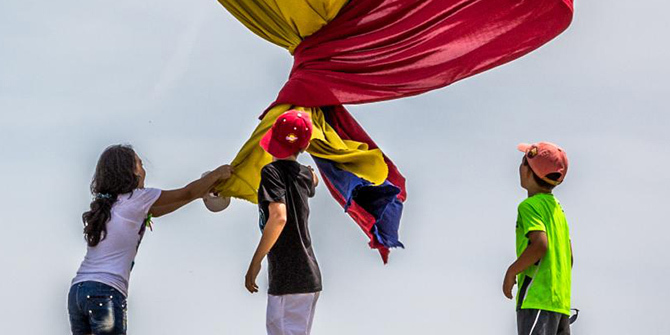 Colombians need a compromise that places justice first, and it is hopeful that the application of justice would not propel a conflict further. In reality, we all need such a process and to remember and honour those who were brutalized by people who might be coming out of our own communities. Natural justice demands it. Richard Basas, a Canadian Masters Level Law student educated in Spain, England, and Canada (U of London MA 2003 LL.M., 2007), has worked researching for CSIS and as a Reporter for the Latin America Advisor. He went on to study his MA in Latin American Political Economy in London with the University of London and LSE. Subsequently, Rich followed his career into Law focusing mostly on International Commerce and EU-Americas issues. He has worked for many commercial and legal organisations as well as within the Refugee Protection Community in Toronto, Canada, representing detained non-status indivduals residing in Canada. Rich will go on to study his PhD in International Law.